IOI Properties Group Bhd launched the first phase of Ayden on April 29 and has seen a take-up rate of 83% for the project to date. Comprising 344 three-storey townhouses, the development is divided into two phases. The first will have 182 units while the second will have 162. Ayden is the third phase of IOI Properties’ 206-acre freehold township, Warisan Puteri, in Kota Warisan, Sepang. Phase 1, Evira, and Phase 2, Avista, featured 2-storey terraced houses and were launched in October 2015 and September 2016 respectively. All units in both developments have been sold. The units will have lot sizes of 24ft by 80ft and larger, and built-ups from 1,851 sq ft for the lower units and from 2,142 sq ft for the upper units. Each unit will have three bedrooms with attached bathrooms. The upper units will also have a roof garden. The selling price starts from RM461,000. Amenities nearby include Xiamen University, Kuala Lumpur International Airport, klia2, the Salak Tinggi express rail link station and KIPMall. Meanwhile, the Horizon Village Outlets and KLIA Aeropolis are coming up in the area. 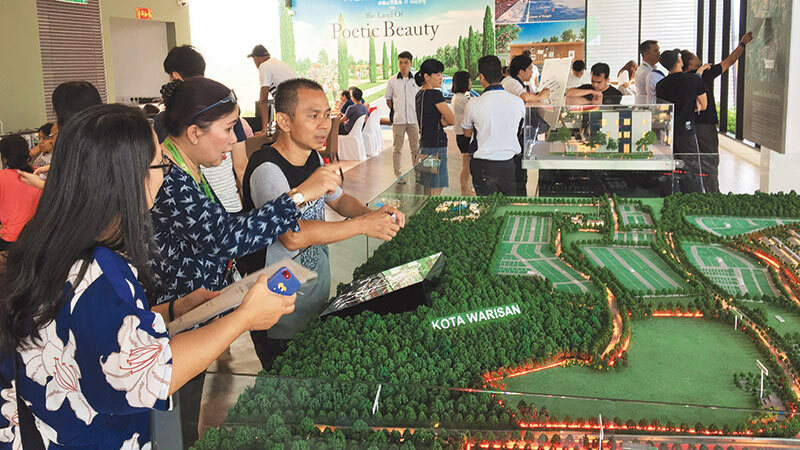 Located along the Putrajaya-Cyberjaya Expressway, the RM3.6 billion Warisan Puteri will have residential, commercial and recreational elements. Within the township are heritage-themed streetscapes — known as the Bliss of Mediterranean, Paradise of Persia, Colour of Rangoli and Trail of Nusantara — inspired by the Silk Road, a series of trade routes that linked Asia and Europe in the past. Each residential precinct will come with an organic garden, a dedicated green space for the community to gather and interact. The township is accessible via the Putrajaya-Cyberjaya Expressway, Damansara-Puchong Highway, South Klang Valley Expressway, North-South Expressway, North-South Expressway Central Link and Maju Expressway.